Foilduff is the 948th highest place in Ireland. An easy distraction on the way to Mother mountain and its knee trembling heather and Sedge. Access from the forestry entrance at R858 652 A. I turned off the track at R86178 63100 B and made my way up across a gap in the trees to the summit. 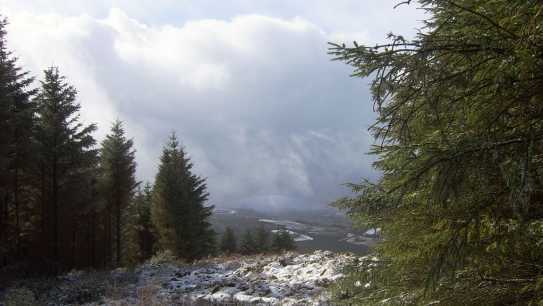 The mountain covered in snow in the distance is Cullaun in the Slieve Felim mountains.